Kamidogu: Hey guys it’s Chris with Kamidogu, I’m here with NetherRealm’s Creative Director Ed Boon. How are you today Ed? 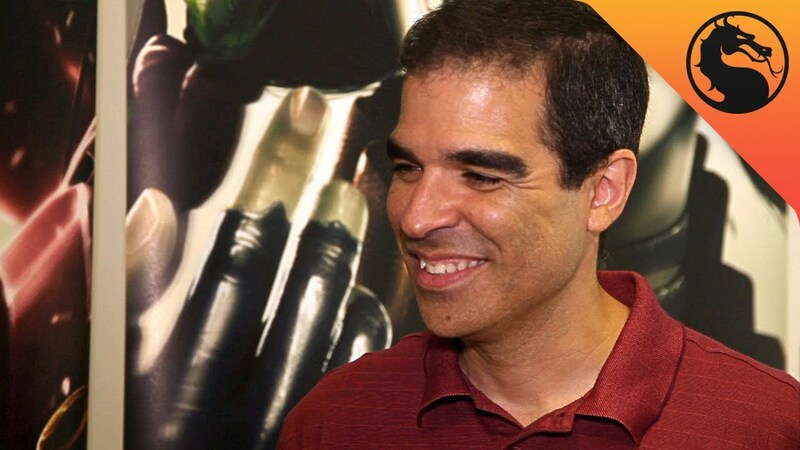 Ed Boon: I’m doing great. Having a good time in Australia here. Kamidogu: Yeah it’s probably a little bit strange for you getting used to life upside down, but it is a pretty nice place to be. How do you feel about the reception you’re receiving so far about Injustice? EB: We’re very happy with it. I think that the word about the game has been out for a while but this is the first chance for some people to actually get their hands on it for quite a while so we’re excited about seeing that getting all the positive response and all that. Kamidogu: Is it a little bit refreshing for you to go to an expo and not have yet another Mortal Kombat game to release, like is it a nice change for you? EB: Yeah, I’m so sick of Mortal Kombat [laughs]. No, no, we’re really ahh...it’s very exciting. I think our entire team is very excited about working with these new different characters. The last Mortal Kombat game was received very well and it sold well, so you know obviously we’ll probably do another one at some point, but it’s great to take a break and to hopefully start setting the foundation for what can hopefully be another series, you know, intellectual property, series of games. Kamidogu: I guess based on that Mortal Kombat 9 as most people call it was banned in Australia in recent years. With the R18+ rating officially coming into Australian shores in 2013 are you looking at maybe resubmitting the game? EB: Yeah, to me it would just be great to have players who’ve wanted the game to be able to finally play it, and so it was received so well that I think we have a lot of high confidence that Australian players would enjoy it as well, so we’re keeping our fingers crossed. Kamidogu: As well we’ve seen quite a lot of interaction with the arenas and that sort of thing. Is that something you’re going to see in every single arena, or with the interaction with objects be limited? EB: The range of number of arenas and number of interactive objects in the game is all over the place. Some arenas have three, some have two, some have one, and so we really wanted to kinda keep that mix going on the game, so there’s no template or consistent rule that we’re trying to follow throughout it we just want variety. Kamidogu: Obviously this game is based mainly around the DC characters; with such a huge roster to select from, how did you guys go about select who you’d include? EB: I think we had two or three like rule sets of our decisions of including a character. I guess the number one would probably be recognisability: we’re not gonna omit a character like Superman, we’re not gonna not have The Flash in the game, so we wanted to kinda get that base group of the most recognisable characters in there. The second one would be probably be something like their participation in the story, you know if there’s a character that has no interaction at all with these main cast of characters it’s be harder to kinda integrate them into the story and have them play a big part of it, so that was another one. And then we wanted the obscure ones, we really wanted some people who you might not have expected and surprises basically, so those are the three rules. Kamidogu: Going off that I guess Mortal Kombat did have a really elaborate Story mode and a lot of single player content. Is that something you’re continuing on with this game? EB: Yeah, that was definitely something that was, um, some of the most positive with Mortal Kombat was the amount of single player content that’s in the game. We had this very long elaborate cinematic Story mode, we had this Challenge Tower with 300 challenges, and we had obviously the Arcade ladder and all that, so we definitely got so much feedback from there we feel like that’s something we would want to continue. Kamidogu: Again with the Wii U controller, obviously we’re going onto three consoles this time rather than two. How are you utilising the Wii U controller to make that version of Injustice different from the other two consoles? EB: Well you know like we released Mortal Kombat for the Vita following the game and we put in some custom features that were for it. Ideally we would love to do something like that for the Wii U, utilising its controllers — we always wanna use, um, make the most out of what’s unique about a certain platform, but we haven’t announced anything yet and unfortunately we’re not at the point ready to announce it yet. Kamidogu: Probably one thing that sort of interested me earlier: I’ve noticed the energy bars, there seems to be like two layers to them: there’s the grey one, and the red once you knock that down. Can you briefly explain how that works? EB: Yeah you know we’re trying not to adhere to too much of the Mortal Kombat template. In Mortal Kombat it was Round One, Round Two, best two out of three, in Injustice it’s really basically the first player to deplete the other player’s two power bars wins, and that’s it. So there isn’t a distinctive round that refills both players’ power bars, it’s basically — you could almost think of it as a long power bar that’s twice as long as your standard one, first one to get the other player’s down to zero wins the match. Kamidogu: We’ve got two types of characters as well, we’ve got the power characters and the gadget characters. I guess in terms of their moves and super meter, do they sort of work differently for two types of characters? EB: Absolutely, and our goal I guess is to make them as unique as possible, so Wonder Woman her meter and what she does with it is different. She can enhance special moves but she has this other button which is her kind of a gimmicky type move, and so hers just changes fighting styles, and the Flash slows down time. We want something that’s completely unique to each character that isn’t shared amongst the other ones, so that’s one of the goals we had. The Super Meter has some similarities with Mortal Kombat where, you know, Mortal Kombat had the big X-ray move and we have the big over-the-top, you know, punch somebody into the sky move, so there’s a lot of...there’s some similarities there but at the same time we wanted to give something unique to the game. Kamidogu: We’ve got Kevin Conroy, we heard his voice in the recent trailer that was released at TGS. Are you sort of working with the guys at WB to bring some well-known voices to the cast? EB: One of the goals we do have is we wanted to have some of the people who voice characters in some of the animated series and other versions of these characters reprise their roles in Injustice, and so there’s a good number of that and then there’s some new surprises that we have too, but that’s definitely an authenticity that we want to bring to the game. Kamidogu: Alright and finally when can we expect to get our hands on Injustice? EB: Well we’ve recently been able to...all this time we’ve been saying it’s just 2013, but now we are able to say that it’s gonna be April of 2013. Kamidogu: Alright well thank you very much for all your time and welcome to Australia. EB: Thanks a lot, appreciate it.